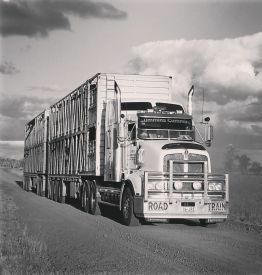 Comiskey Bazadais Beef is a Central Queensland family grazing business. Our enterprise is centred around producing superior quality cross bred Bazadais cattle. 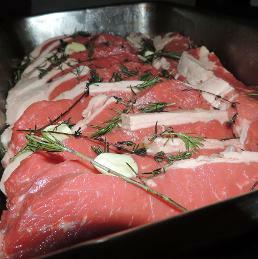 Cattle which gross a higher than average meat yield with superior tenderness and taste characteristics. As we move into a future where DEXA technology facilitates value based payment systems, the yield and eating quality we produce will provide better commercial returns. We breed Full Blood and Pure Bred stud bulls as well as commercial cross bred Bazadais cattle. 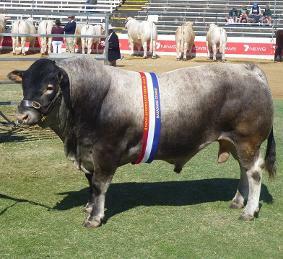 Our property at "Old Mount Stuart" in the Capella district is home to "Folkslee Herald" who is the World's First Purebred Homozygus Polled Bull and Royal Queensland Show Champion Bazadais Exhibit 2015. Our success in achieving our business mission is evidenced by the results we have achieved over the past few years in what is, arguably, Australia's most prestigious carcase competition, the RNA "Paddock to Palate" competition at the Royal Queensland Show. In some years, the event attracts more than 1,000 head of cattle from the nation's best producers. Since our first nomination in 2015 we have year on year come home with outstanding results, including: 2015 Reserve Champion Carcase (100 days grain fed), 2016 Champion Carcase & 2nd Pen of Six (70 days grain fed) and in 2017, 1st Pen of Six (100 days grain fed). G'day, we're Geoff and Sonya Comiskey of "Old Mount Stuart" in Central Queensland. We produce Bazadais stud and commercial cross bred cattle and and we love it! Find out more about what we do and why. Baz-a-what?! It might seem hard to say, but it's easy once you learn. It's "Baz-ah-day", say it with us, "baz-ah-day". There you go! We love what we do and love to talk about it! Find out where we are, how to get in contact and follow us on social media to have a chat or access more of the 'behind the scenes' insights at Comiskey Bazadais Beef.